Learn about the LATEST LICENSING NEWS here. When it comes to licensing, this is the place to be. Server management can be tough even when the control panel is as friendly as cPanel. You can run into tasks that you don’t know the solutions to, and you can also run into issues that require dynamic command line administration. Many people may find this type of configuration complicated and confusing. The solution to this is WHMXtra. With a WHMXtra license, you can perform advanced administrative actions with the click of a button. WHMXtra provides you with over 150 featured scripts that you can run without ever touching the command lie. You find tons of useful items on WHMXtra like the ability to install FFMPEG and CLAMAV instantly. You can also backup your cPanel accounts and fix your e-mail accounts simply and easily. You don’t have to worry about administration tasks with a WHMXtra license, and you will be able to streamline your server management needs. 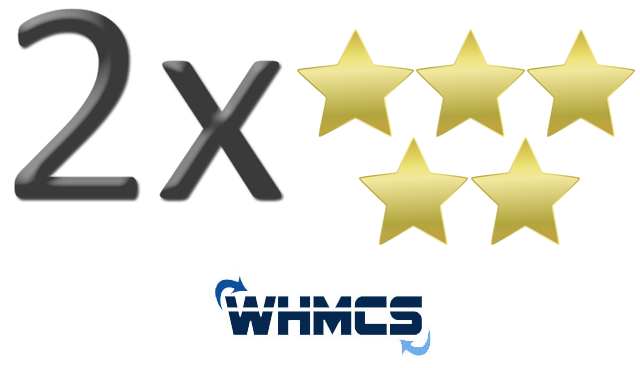 For server management, there is not a better program on the market, and WHMXtra can easily be integrated with the best control panels on the market so you can use it with your current control panel. A WHMXtra license will ensure that you get all of the features and capabilities that you need with server management software, and server management software license can help you enhance your virtual environment with an amazingly versatile and functional product. WHMXtra contains more than 150 features that can make your virtual environment safer and easier to use. With all of the scripts and applications that you can add to your cPanel control panel with a WHMXtra license, you will be able to ensure that your systems are incredibly useful and simple to configure and customize. With WHMXtra server management software and server management software licenses, you will be well on your way to creating a virtual environment that you can enjoy using even more. When installing software on to your control, you want to be able to automate your installation in order to save both time and money. Installatron allows you to do just that. With feature-rich technology and a state of the art design, an Installatron license will help you streamline your tasks so that you can use your time for other, more productive pursuits. With Installatron, you can install your favorite applications with just a single click, and it is one of the best and most flexible auto installers on the market. One of the best features of Installatron is that it lets you use it on so many different control panels. For a control panel installer, Installatron is extremely versatile. You can use Installatron on cPanel/WHM, cPanel Enkompass, DirectAdmin, Plesk Panel for Linux and Unix, Plesk Panel for Windows, InterWorx, and Kloxo. With Installatron, it has never been easier to install all of the applications and software that you need with a simple one-click installation process. Installatron is undeniably one of the most useful auto-installers because it allows you to access a number of functional scripts so that you can enhance your virtual environment. Installatron is also constantly upgrading, which is an excellent feature for people that intend to use the program for a long period of time. An Installatron license will allow you to access all of the best scripts on the market, and since the installation process is a breeze, you will be able to get these applications up and running in no time at all. An Installatron license is also very easy to purchase, and you can use it on a monthly basis or you can buy the license outright. No matter which type of Installatron license you plan to purchase, it will add flexibility and functionality to your system and it is one of the best control panel installers available. If you are looking for a solid, reliable program to help you install applications, then Installatron is one of the best products on the market. Installatron is one of the most popular applications because it enables any Webmaster or hosting company to use an existing framework to package any application and make it installable from a single click. With the excellent API capability, Installatron is one of the best programs on the market to help provide automation services for your billing system. Other competitive auto-installer programs on the market have many functions and often have more installable scripts than Installatron has. In some cases, other auto-installer software may have up to three times as many scripts as Installatron; however, the difference lies in that they are not as flexible to use. For example, Installatron has a full API, so you can integrate it with your billing system. With the API integration and automation, you can perform a certain task when your customers give an order. An Installatron license can be used to enhance your virtual environment and increase the number of scripts that you have on your system. You may also use an Installatron license to take advantage of the API so that you can easily integrate with other third party applications. Since Installatron makes it simple to add more scripts and work with third party apps, an Installatron license is a great addition to any billing system. LicenseCube Welcomes a New Provider to Our Lineup: Installatron! 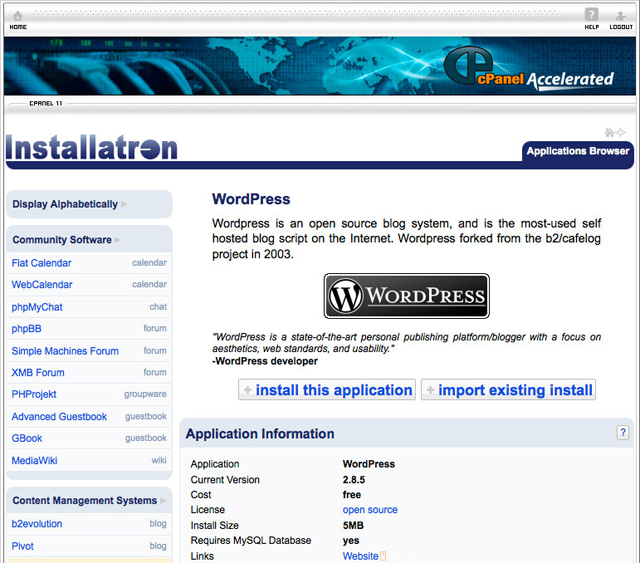 Installatron is an auto-installer that lets you install the most popular scripts right into your website’s platform. Installatron works well for web hosting control panel systems including DirectAdmin, cPanel, Enkompass, InterWorx and Plesk. A great feature on Installatron allows users can create and restore snapshots/backups of installed applications whenever needed and will offer to create a backup prior to upgrading an installed application so that the upgrade can be reverted if something goes wrong. Users can import existing manual installations into the Installatron system for easy backups and upgrading and offers the fastest new-version-updating. Now let’s explore some unique feature that set Installatron apart. This auto-installer contains a feature in which it senses when your application won’t work with the server; it will automatically hide that option from customers view, to ensure that all installations are carried out smoothly. Installatron makes things simpler for everyone as it can also automatically update, and has the most language support of any auto-installer on the market currently. For extra security, Installatron supports root-directory and password-protected-directory install locations. Overall, Installatron has an easy-to-use, yet powerful, interface that allows you to instantly install and upgrade the most popular applications available! Fantastico is a wonderful way to install an array of applications and scripts onto your websites with a few easy steps and instant activation. Fantastico operates off of a Linux/PHP platform, and it allows you to install blogs like WordPress, discussion boards, portals, CMS, image galleries, site builders, e-commerce carts, and much more. You can probably see that there are many benefits to using Fantastico to automatically install scripts through your server onto the various websites you support, but there may be other advantages to licensing Fantastico that you are not aware of yet. Fantastico is a great product for novice users or people that are not familiar with the ins and outs of website creation and script installation. The process of applying different elements to your website is quick and easy with just a few clicks. Fantastico supports multiple open-source applications, and Fantastico will allow you to create dynamic websites that are extremely effective and productive. The functionality of Fantastico extends well beyond the bounds that a normal control panel allows. 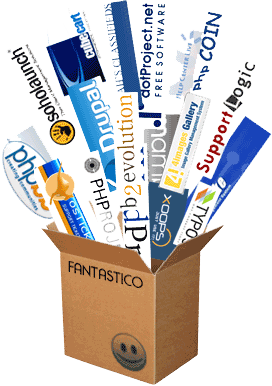 Fantastico surpasses other providers such as Softaculous in customer service, update delivery, and user-friendliness. If you need applications that provide cookie support, IP locking and logging, web links, advanced picture galleries, and surveys, then Fantastico has what you need to provide more exciting, dynamic services to your clients. You will also be able to take advantage of free utilities, easy updates, payment gateways, and extensive and comprehensive customer support. The array of different features that you can enjoy will help you create effective websites with a forceful, clear message. The Fantastico tool is one of the most fascinating programs on the market because this auto-installer is extremely versatile. To simplify your hosting experience and add content management services to your client, Fantastico is an excellent solution for any type of hosting provider. WHMCS is an exceptionally designed billing system automation and management software system that gives you the opportunity to add many additional plug-ins, applications, and add-ons. One of the best auto-installers on the market is Softaculous and it will propel your business to the next level and give your customers more variety when it comes to scripting and applications for their websites. Softaculous has 176 + different scripts available that will make your virtual environment easier to customize. You will be given a lot of options for unique e-commerce carts, mail clients, education/learning tools, and much more. You can also set up links to social networking pages to promote your business and give your site more exposure. It can be installed on the WHMCS control panel so that you can offer more products and services to your clients. Softaculous is an all-encompassing auto-installer for scripting and applications, and it has been recently updated to give additional support. The installation of the scripts through Softaculous is easy, and it has been designed so that you can apply scripts with a single-click. This will make life simpler for you and your customers, and the program is great for the WHMCS platform. WHMCS is one of the most recognized billing systems for the reseller hosting community. Its easy integration with countless registrars and payment gateways makes it the easy and swift choice for all of your billing needs. The auto-installer Softaculous can add another level of versatility to your WHMCS platform so that you will be able to grow your business and expand your client base. Softaculous paired with WHMCS is a great way to effectively manage your billing system and also give your customers more options to create and customize their website. With Softaculous and WHMCS, you will be able to provide your customers with the best and most advanced technology along with nearly endless opportunities for scripting and applications.